WAUNAKEE, Wis. - Feb. 1, 2018 - PRLog -- Suttle-Straus has been awarded Best of the Best designation in the Best Workplaces in the Americas (BWA) program by the Printing Industries of America in recognition of exemplary human resources practices that create an outstanding workplace. In addition, Suttle-Straus received the Safety Shield designation in the inaugural year of the Safety Shield competition in recognition of the company's safety record and practices. For 18 years, Printing Industries of America's BWA program has acted as an acknowledgment of printing industry excellence in human resources practices. A panel of respected human relations professionals from the print industry judged entrants against benchmarking categories that promote the most sought-after qualities of today's workforce, including: Communication & Culture, Employee Resources & Benefits, and Work Environment & Safety. 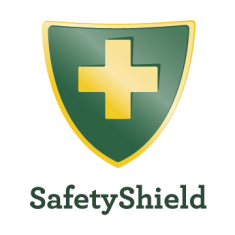 The Safety Shield designation was evaluated on OSHA compliance and best safety practices for the printing industry. "Being a great place to work and being a safe place to work have always been top priorities for Suttle-Straus. It's an honor to be recognized by the industry as a company that offers a superior workplace 18 years in a row," said Ted Straus, President and CEO of Suttle-Straus. Michael Makin, president and CEO of Printing Industries of America, agrees. "Companies recognized in the Best Workplace in the Americas program exhibit the highest commitment to success in many ways, but particularly through their employees. Congratulations to Suttle-Straus!" Suttle-Straus provides comprehensive marketing solutions that incorporate creative design, mailing, fulfillment, distribution, wide-format, and conventional and digital printing services. Our S4 Marketing Resource Center combines these services with cutting-edge technology that advances clients' marketing abilities and speed to market. Through long-term, collaborative client partnerships, Suttle-Straus is able to continue producing quality products, exceeding expectations, and offering innovative products and services.